Partners in Praise Choir was formed in 1994 by Mrs. Julia Fahey specifically for the Broadway production of “Joseph and the Amazing Technicolor Dreamcoat”, starring Donny Osmond. The choir consisted of twenty-three members (both boys and girls) and, after intense rehearsals and try-outs had the experience of a lifetime performing in over fifty-two shows with Donny Osmond at the Historical State Theatre in Downtown Minneapolis, Minnesota, U.S.A. 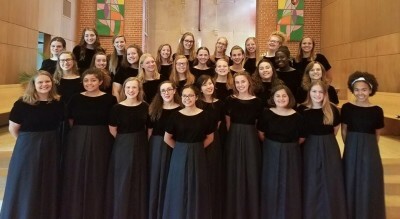 Since “Joseph”, Mrs. Fahey established Partners in Praise Girls Choir consisting of up to 50 to 60 girls from all around the Twin Cities Metropolitan Area. Girls are chosen by auditioning with the Choir Director before the new season begins, during the month of August. Our season runs on a fiscal year from September 1 to August 31st. Rehearsals begin in September on Monday evenings and run through the end of May. Intense June rehearsals begin for preparation for the season’s tour. Partners in Praise has performed for the American Choral Directors Festival (ACDA) and the Minnesota Music Educators Association (MMEA). The Choir conducts its own yearly Choral Festival (PIP Fest) involving talented choirs from around the area. In addition, Partners in Praise performs at numerous concerts at churches, events, at the Timberwolves Games, at the State Capitol, plus many more. Partners in Praise has made numerous recordings and videos of tours and concerts. CD’s are available at most concerts. Form and maintain an all girls choir consisting of 8th through 12th grade, school aged girls from all ethnic and economic backgrounds. Expose Choir Members to a stimulating variety of music styles and to have them perform songs of a multi-cultural flavor, which will be integrated into their rehearsals, concerts and tours. 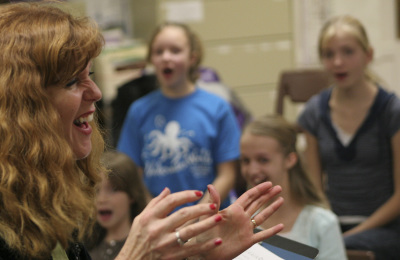 Provide Choir Members with the thrill of performance as a reward for working together as a team in a positive social environment and to recognize each individual as a unique member. Empower Choir Members to become strong individuals and contributors to their communities and the arts through cooperation skills, professionalism, and concentration they acquire as a result of being a Choir Member. Partners in Praise Girls Choir is supported by various fundraisers, concert donations, individual and business donations.